At The Bailey Group, the approach to CEO coaching is holistic. Clients receive peer-level support along with psychological expertise from teams who are trained to understand how personality traits, upbringing and personal values factor into leadership styles and capabilities – an approach that leads to increased performance. From working through conflict to building strong relationships with boards, to inspiring and aligning teams – CEO Advisors, all of whom are former CEOs, are key to transformational leadership. The Bailey Group is an exceptional team of CEO Advisors and Executive Coaches with experience in a wide array of industries, including as acting CEOs. Their team has been assembled to provide comprehensive solutions tailored to the unique challenges CEOs and other corporate leaders face in a highly competitive marketplace. 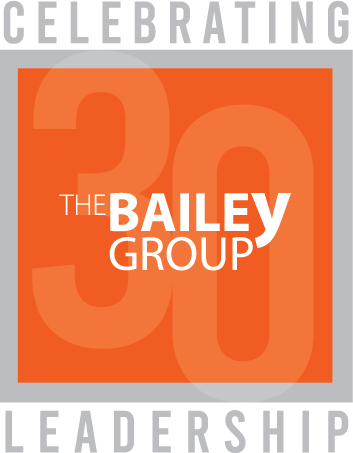 Since 1989, The Bailey Group has advised hundreds of CEOs and executive teams across many industries, partnering with exceptional leaders to build successful teams and thriving organizations. For more information, visit TheBaileyGroup.com, or follow us on LinkedIn, Twitter, or Facebook.